I was in a thrift shop on my lunch hour and this shy little brown bowl caught my attention from the cluttered shelf. I knew it was a mid-century Russel Wright piece before I read the bottom. 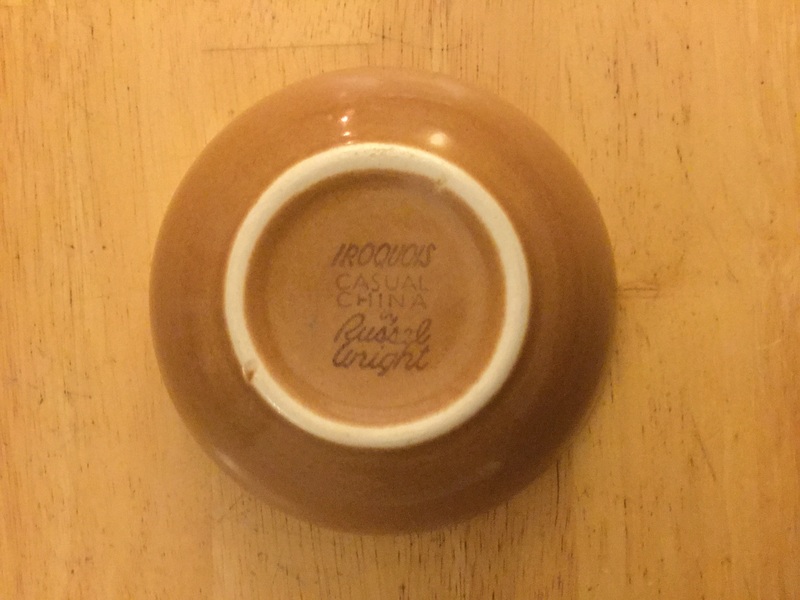 It is a cereal bowl from their Iroquois casual china collection. The color is nutmeg. I only have one, and I use it all the time. I can heat it in my toaster oven, and it is such a perfect shape to hold — and to behold. I have another favorite bowl — which you will meet soon — but this little gem is my first love.